Lol. Not nearly as bad as my carbon fibre ashtrays. Nothing more euro than smoking in your race car. This version would be the more correct "M3" version over the M-Sport version Jordan got. Both look nice though... but the "M-Sport" line is a lesser branding. 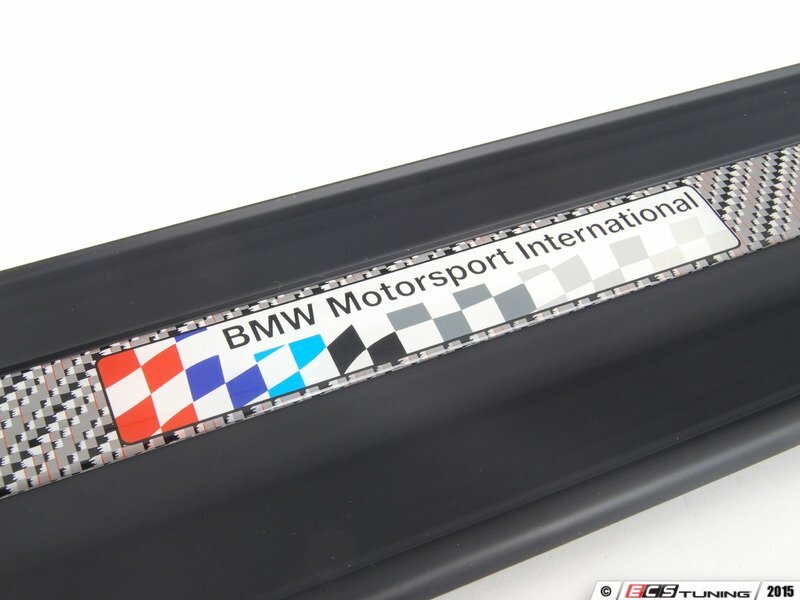 It it genuine carbon fibre weave or just plastic/decal does anybody know? Looks terrible in that ^ close up pic. Plastic decal for the sills. They are $112 each... you can pretty much assume they will not be real carbon. I think they look good (for where they are installed). Far more durable than BMW's E36 real carbon too. Good to know they are still available, and still cheaper than I've seen them posted in the classifieds here. Can you tell me how deep that Continental head unit is? I have asked on a couple of sites and got no reply. It seems like a possible candidate for putting in place of the on board computer since it doesn't have the CD slot. I know if you want to put a full head unit in you need to cut into your heater core, and I don't really want to go through all of that, but would like to have the opening up top for some gauges rather than the sunglasses tray. All times are GMT. The time now is 10:55:26 PM.